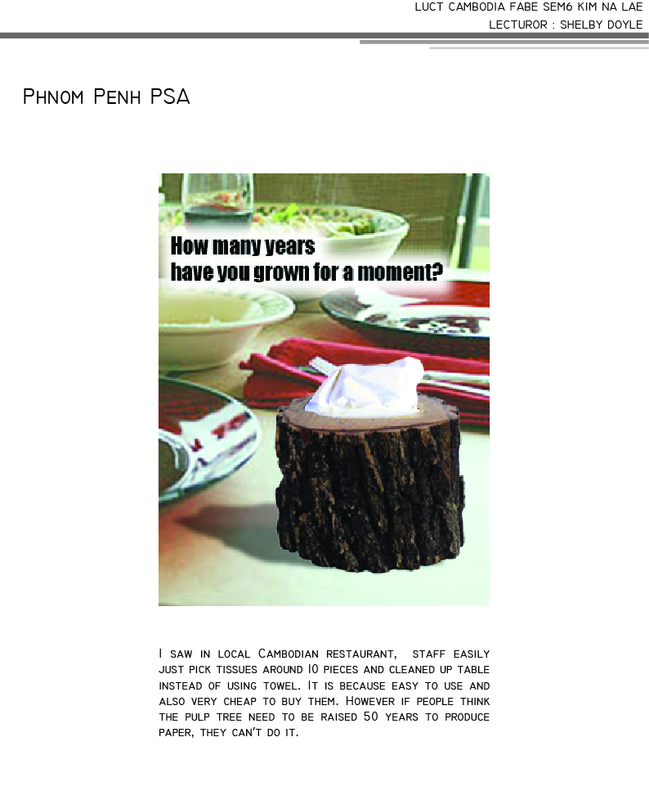 The poster is designed to remind people not to litter at public spaces, roads or water. 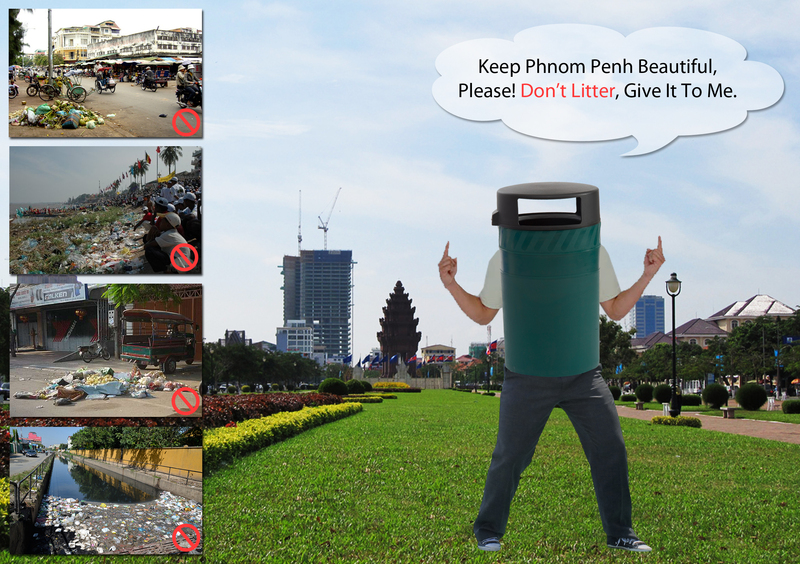 Just put the litters in the litter bin to keep Phnom Penh beautiful. 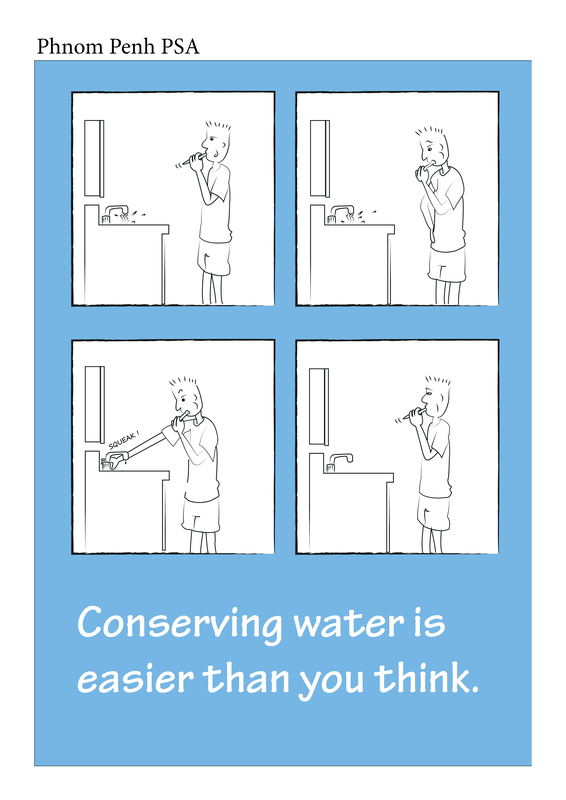 Environment is the most important thing for urban planning. 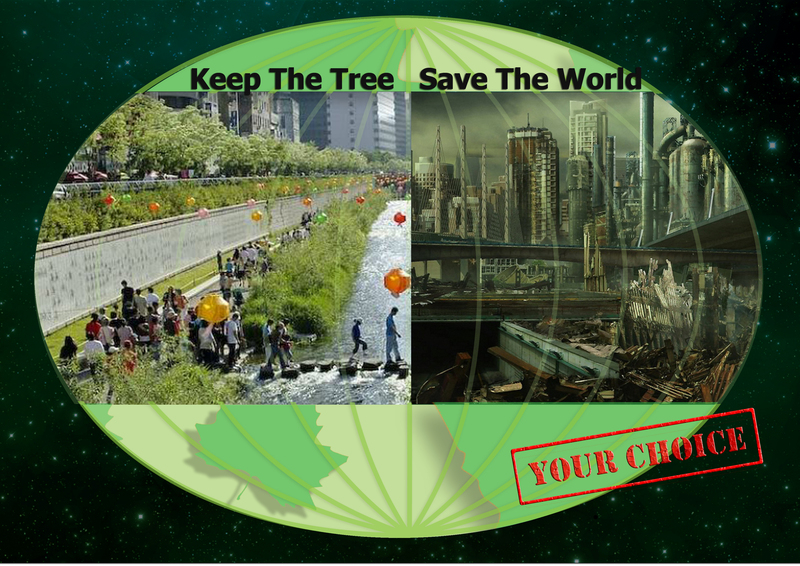 Therefore, by starting to concern about the planting the tree in the design for the master plan is really help the environment of the city.